NPQ has been following Pope Francis’s work on addressing the Catholic Church and its role in family issues since a worldwide survey was sent to bishops in 2013. Catholic bishops met at the Vatican in 2014 and 2015. 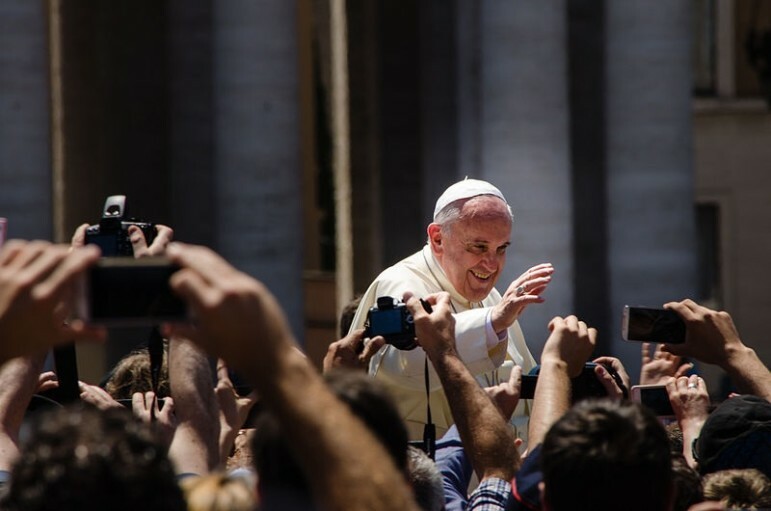 He issued his 256-page “apostolic exhortation” titled “The Joy of Love” last week as the final report of the bishops, coupled with his own thoughts. The letter reflects previous statements and writings by Francis, as well as those of his predecessors. He has found a way to uphold traditional teaching on issues such as the definition of marriage, divorce, and artificial contraception. However, he has called for a change in emphasis from reliance on dogma to an extension of grace and compassion to people in need of spiritual guidance and healing. As Christians, we can hardly stop advocating marriage simply to avoid countering contemporary sensibilities, or out of a desire to be fashionable or a sense of helplessness in the face of human and moral failings. We would be depriving the world of values that we can and must offer. It is true that there is no sense in simply decrying present-day evils, as if this could change things. Nor it is helpful to try to impose rules by sheer authority. What we need is a more responsible and generous effort to present the reasons and motivations for choosing marriage and the family, and in this way to help men and women better to respond to the grace that God offers them. The letter also recognizes that Catholic dioceses around the world need latitude to communicate with parishioners, so it advocates for a decentralized approach. Disputes among bishops at the 2014 and 2015 synods centered, in part, on the differing needs in politically and culturally conservative regions such as Africa from those of the more progressive areas of the world, such as Europe and North America. While the substance of doctrine remains central and unchanged, the style with which it is communicated will be adaptable. I like to use the image of the field hospital: Some people are very much injured and are waiting for us to heal their wounds, they are injured for a thousand reasons. We must reach out to them and heal their wounds. Using contemporary medical language, the Church should “treat the patient in front of them” rather than withhold treatment pending proof of patient compliance with medical directives and best practice. Funded by private philanthropy, Planned Parenthood in Illinois has launched a one-year program that will cover all birth control costs for those who need financial support.